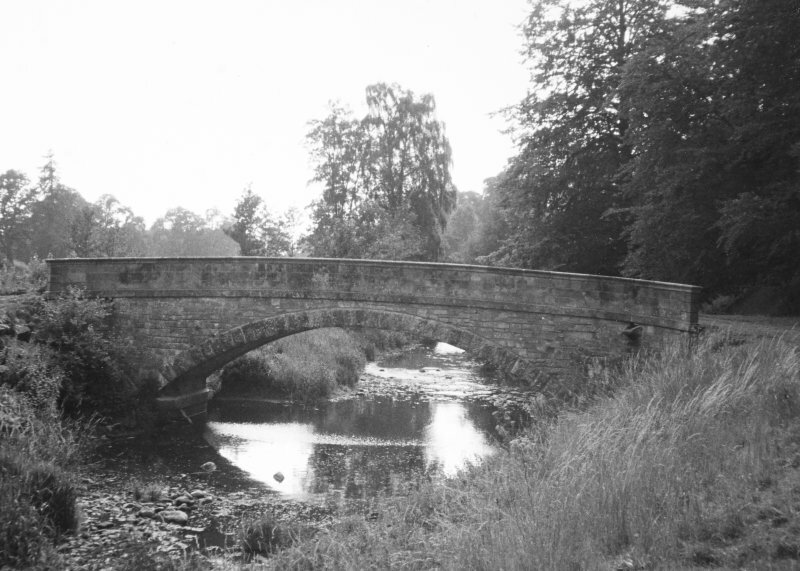 In the grounds of Mertoun House there is a bridge which links the park to an island in the middle of the River Tweed. The bridge is of a single span, with a shallow segmental arch, and dates from the earliest, mid-eighteenth-century phases of the development of this designed landscape. For Mertoun Bridge see NT63SW 61.